We're lucky enough to meet wonderful couples from all over the world who chose to come to our Florida shores to say "I Do". It is especially rewarding to hear from our happy couples afterward about the amazing day they enjoyed. Thank you to all of our couples who have provided feedback - your glowing testimonials and reviews continue to enhance the Suncoast Weddings experience. It was a pleasure getting to know all of you ... we feel privileged to share such a magical event in your lives and are delighted that we were able to surpass your expectations. Here is a selection of our latest testimonials from recent Suncoast Weddings. If you have feedback you'd like to share, we look forward to hearing from you, it would be our honor to feature you on this page after your very own Suncoast Wedding. If you want to find out more about the Suncoast Weddings themes or the locations in this beautiful part of the world, please explore our website or give us a call at 727-443-0039. 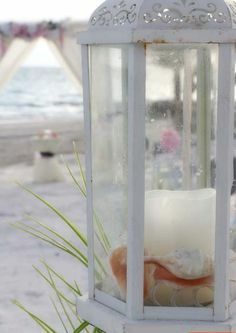 We are beach wedding specialists with a passion for making sure every detail is tailored to your dreams. Thank you so much for everything you did to make our day special. It was a dream come true. Everything was set up beautifully and the music was perfect as well. We couldn't have been happier with our day! Thanks again. Thank you for your utmost support in organizing our wedding on the 3rd September . The occasion, location and delivery was absolutely faultless and just what we wanted - we have no hesitation in recommending your services! You've all made a very happy Mr and Mrs! Thank you so much for doing such a wonderful job with our wedding on July 13! We couldn't have been happier!